SKU: NO2-Force Categories: All-Natural Bodybuilding Supplements, Legal Steroid Alternatives, Bodybuilding Supplements for Cutting, Buy Legal Steroid Alternatives, Which Supplement Is Right For Me? Our NitricBOOSTER MAX is one of the leading nitric oxide supplements on the market. Our nitric oxide booster promotes the production of the body’s nitric oxide. Our NO2 supplement dramatically boosts nitric oxide levels for explosive muscle growth. 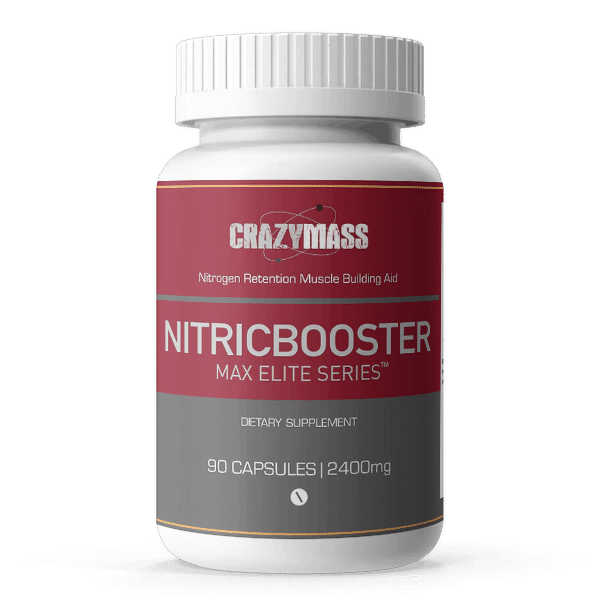 CrazyMass NitricBOOSTER MAX Elite Series is our 100% natural formula created to give your body the essential building blocks to work as a nitric oxide booster. Take one pill from each bottle as one serving. You can take up to three servings per day, take each serving with a snack or meal and drink 8-10 large glasses of water a day. Take each serving with a minimum of five hours between servings. If taking three servings per day, your stack should last about 4 weeks. You can take the product(s) for up to eight weeks before taking 10 days off from our nitric oxide supplement. 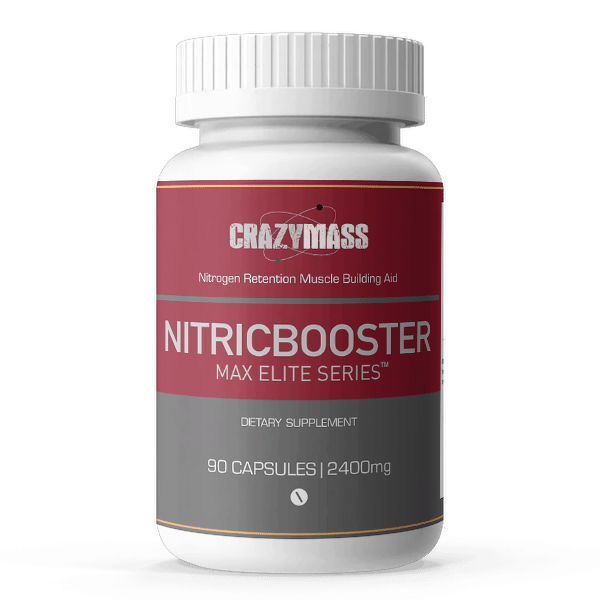 Nitricbooster Elite Series complements ALL of our CrazyMass bodybuilding stacks. What is Nitric Oxide for bodybuilders? Nitric Oxide is great for muscle development. NO2 has a short half-life which is measured in minutes, so it works quickly so it works to increase the body’s own production and synthesis. NO2 is so fundamental to life that even the drug Viagra works by using the NO receptors in the body. 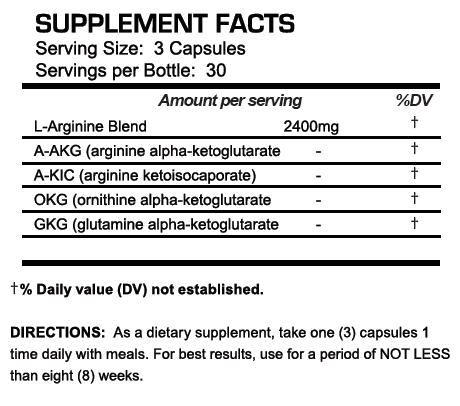 Ingredients include L-Arginine Blend, A-AKG, A-KIC, OKG, GKG. Great products when coupled with working out. Impressed with Nitric booster along with T-bal and D-Anaoxn when used together. I’m 57 and weigh 165. Started at 145lbs on the bench. In two months, I was working with 245lbs on the bench. Recuperation seems to have improved also. Thanks for your products. Will continue to purchase. Just started taking NO2… Mannnn trust me, after taking this product it gives a great adrenaline rush that you wana pump more reps!!! This product is as good as the jack3d preworkout sup. (banned version). Just finished workout and I’m still hyped up… Lol… Highly recommended!!! 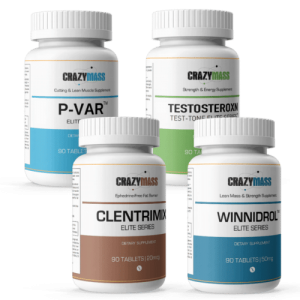 I have been using crazy mass products for about 1 year now and the results have been great. 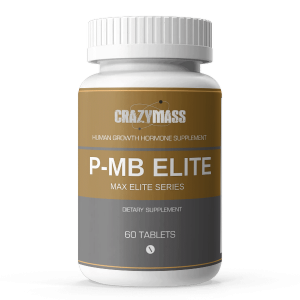 I just purchase crazy mass NO2 product and I can’t wait to see the results that I get. This product can really help someone get the endurance up with running and lifting, since I’ve started taking NO2 Force I’ve been able to run my normal route around my neighborhood twice as fast and lift twice as long.